(September 27, 2018): Organizers of the York Halloween Parade presented by York Traditions Bank have named Lou Rivera, chairman of Latinos Unidos, the grand marshal of this year’s parade. The 69th edition of the parade — sponsored by York Traditions Bank and managed by Eventive, the event planning and production division of the York Revolution — will roll through downtown York on Sunday, October 28, from 2 to 4 p.m.
A native of Camden, N.J., Rivera grew up in Worcester, Mass., and returned to New Jersey to attend Rutgers University. He moved to York nearly three years ago and has quickly made his mark on his new community, leading such initiatives as Puerto Rico Se Levanta, the 21-day giving drive that raised more than $15,000 to support relief efforts in Puerto Rico, and playing a pivotal role in the creation of First Friday Latino in the city. Rivera serves as chairman of Latinos Unidos, a community dedicated to the engagement and empowerment of Latino residents in the greater York area. He and his fellow volunteers champion the organization’s efforts to promote social, civic, and economic integration of Latino families. 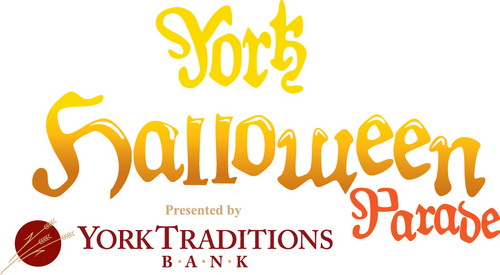 Commercial and non-profit organizations, baton groups or dance studios, and individuals and small groups interested in participating in the October 28 event may register at www.yorkhalloweenparade.com. Sponsoring the parade for the fifth year, York Traditions Bank is once again distributing registration fee waivers for 501(c) 3 non-profit organizations at its branches. Branch locations are available at https://www.yorktraditionsbank.com/contact/locations-hours/. The parade will again begin at The York Fairgrounds at 2 p.m. and travel east on Market Street from Richland Avenue to Broad Street in downtown York. The route will feature a number of vendors as well as a Family Fun Zone, presented by CGA Law Firm, on the corner of Market and George Streets from 1 to 3 p.m. The Family Fun Zone will include games and inflatables for the kids, music, and more. Businesses along the parade route will participate in the revived October tradition of inviting art students from local school districts to paint their windows with original donut monster and donut-scape Halloween-themed art, reflecting a fourth year of sponsorship from Maple Donuts, which revived the tradition that was largely lost in the 1990s. For the fifth year, Menchey Music is offering $100 off in-store merchandise to the first 10 high school and junior high music programs to register for the York Halloween Parade. For more information, visit www.yorkhalloweenparade.com.